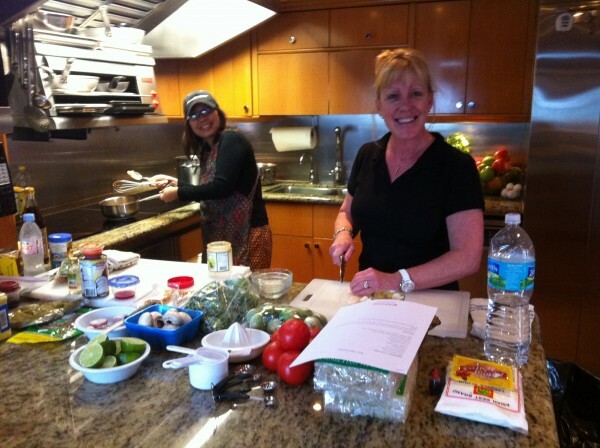 Have you ever wondered what kitchen galleys are like on those massive luxury yachts? You know, the ones where the owners want to entertain 150 people on deck? Of course as you might imagine, the answer is — they’re modern and spectacular, with fancy appliances and granite throughout! 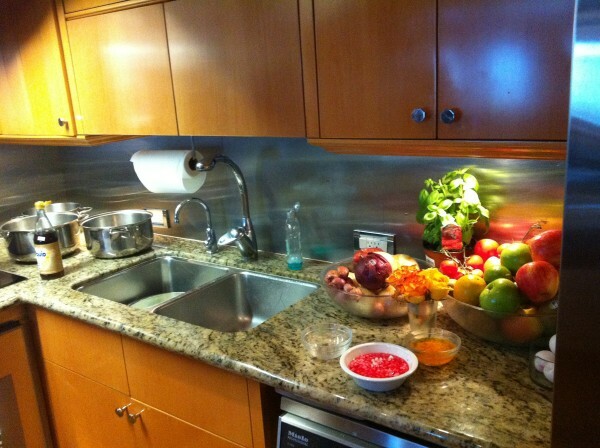 We recently had the opportunity to look around a modest 163 foot yacht’s galley and here are the photos. It seemed to have two of everything, and naturally had drawers cabinet doors that don’t slide open when traversing rough waters. As you can see above, the main sink has plenty of counter space around it, and there was a separate countertop across the walkway to put finished dishes before serving. Another counterspace was located beside the range for convenient prep work. An eight burner magnetic induction range with full digital controls allows for quick and efficient cooking for quite a bit of food. The touch controls take a bit of getting used to, but if you can learn to use an iphone you can learn this. 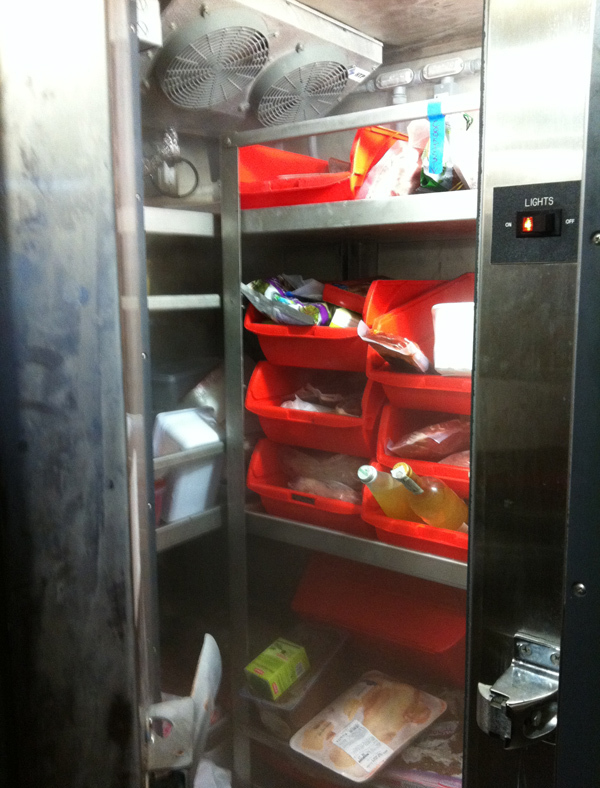 The walk-in freezer will make sure guests remain well fed even when crossing the ocean. Current contents included some remarkable prawns from Italy. 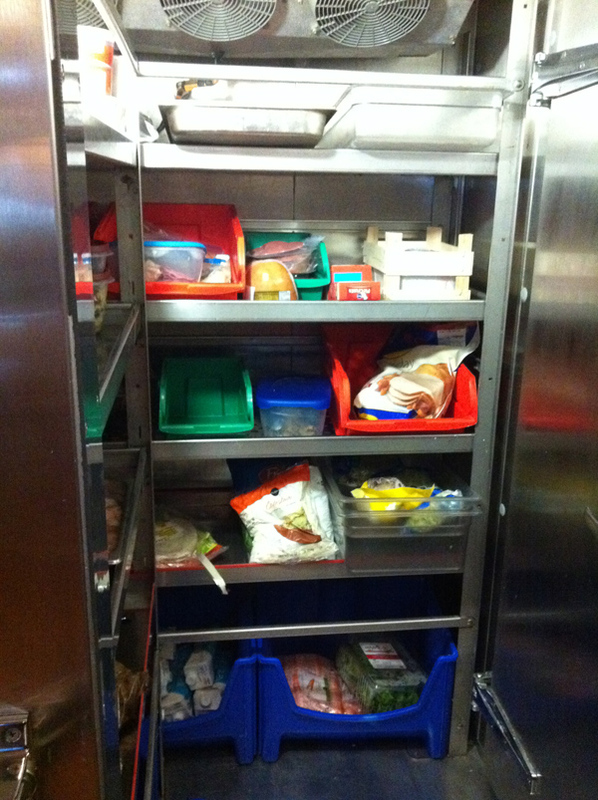 And the walk-in fridge is ready for big party preparation, as you can see. Here’s a shot showing the range area again, with a little more perspective. This gallery had dual dishwashers (12 minute wash cycles for quick turnaround at events) and the usual assortment of trash compactors, oven, microwave, etc. 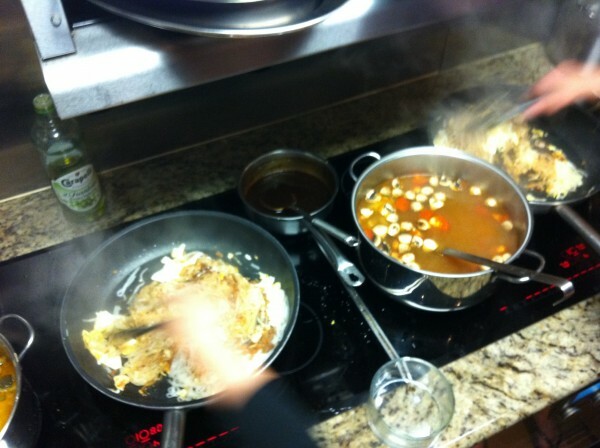 And here’s the head chef preparing food for the crew. 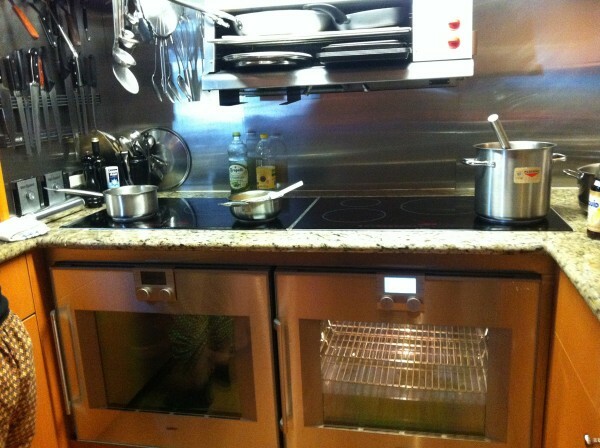 This kitchen is too nice to leave idle, it stays in use even when in port.